This week was a case of just in time carrot harvesting. 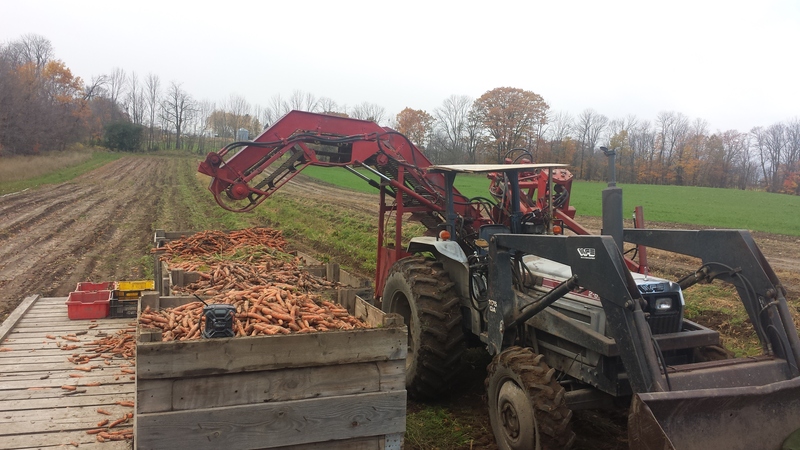 We finished our carrot harvest at noon on Thursday. 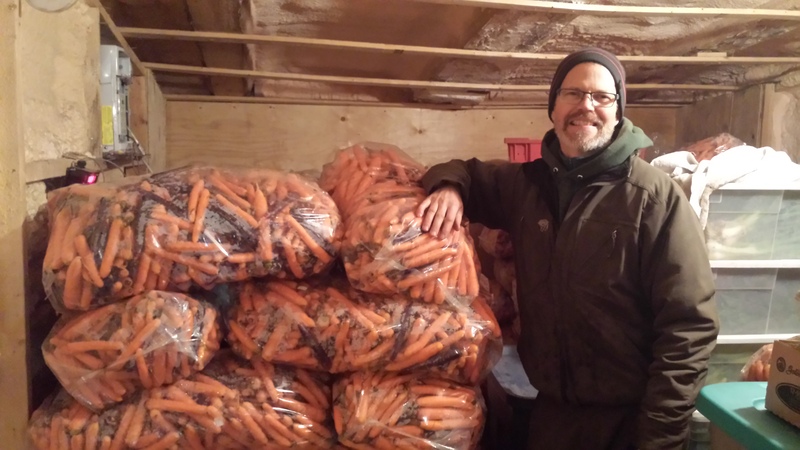 By 4 pm the equipment was cleaned up and put away and the carrots were in the cold storage. The snow started at 5 pm! A little tighter than I’d like, but it worked. 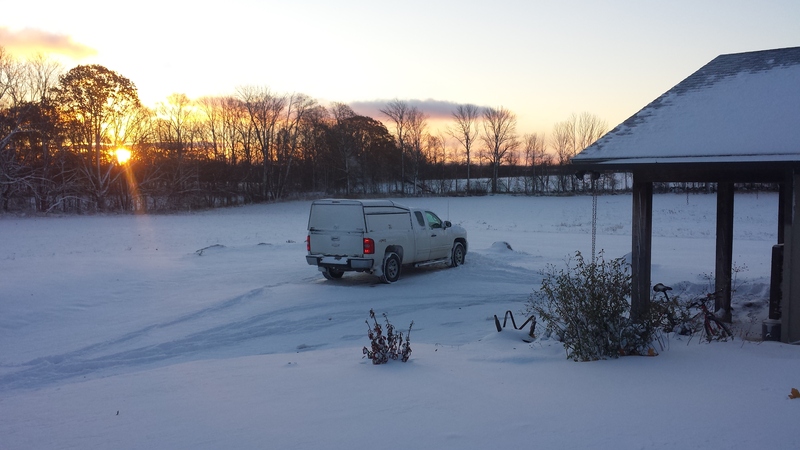 This morning it’s minus 14 C here and we got 15 cm of snow overnight. There are 5500 lb. of carrots chilling in the storage. See the attached pictures. I’m snug in our solar passive house, warmed by the sun that has followed the squalls. It’s about 22 C in here without any heat on. Soon, I have to venture out for deliveries. Hopefully, the roads will be in good condition. We now have bulk available in Orange carrots, see the pricing below. I expect to have carrots, beets, garlic and maple syrup at least until Christmas. orange seconds(bits, pieces and too bigs) $20/50lb. on pre-order only.